After an exceptionally managed race, BMW’s No.25 M8 GTE finished first at Daytona 24 Hours. 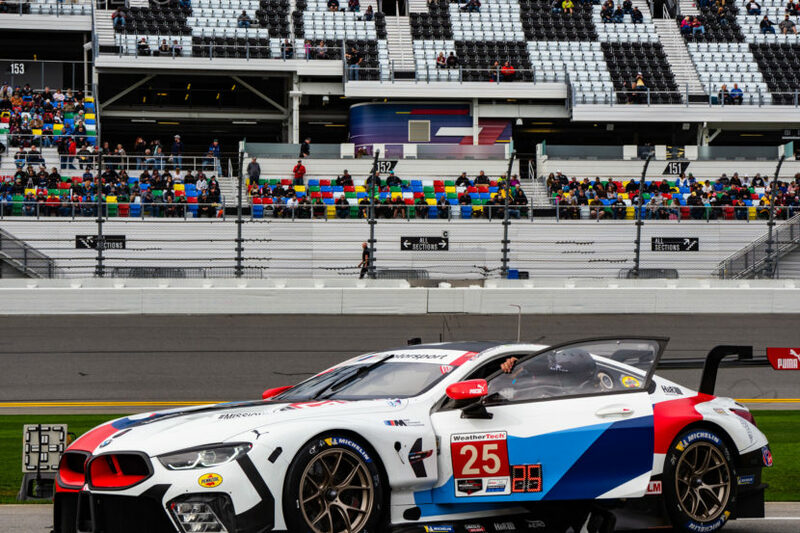 We were on site to experience the first win for the M8 GTE and also to witness the Daytona debut for racing legend Alex Zanardi. Ahead of the race, we got the chance for an exclusive interview with Zanardi, which was featured on our Facebook page, followed by a one-on-one chat which will be launched this week on our Youtube channel. 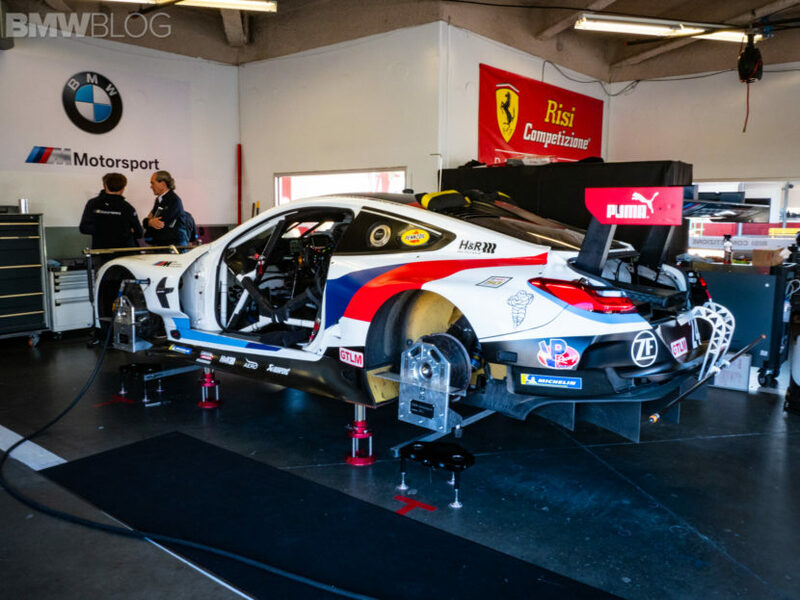 Courtesy of BMW of North America and BMW Motorsport, we were also given access to the paddock area where we got upclose with the BMW M8 GTEs. 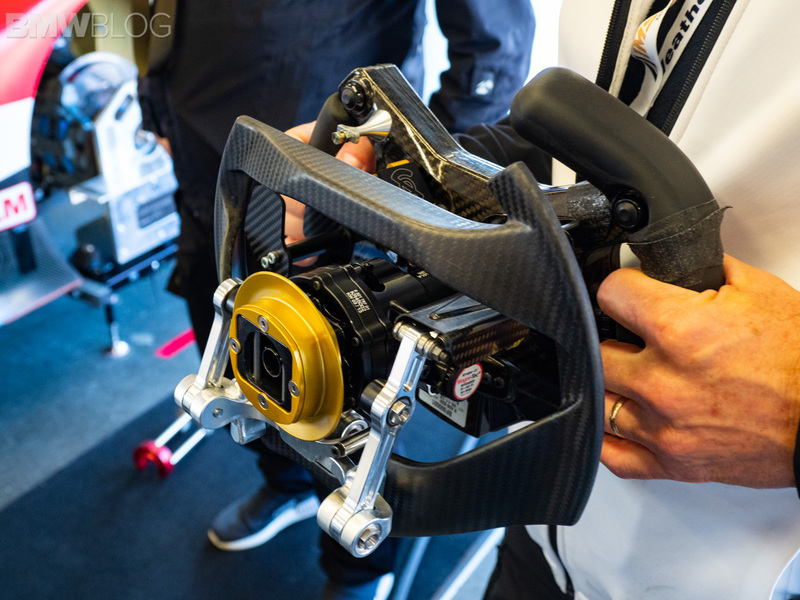 The images below also give you a close look at the special steering wheel designed for Zanardi. The unique steering wheel allows Zanardi to accelerate using a gas ring and to change gear using shift paddles. The gas mechanism at the steering wheel, proven in DTM, has been adapted to the much more complex steering wheel in the BMW M8 GTE. The brake lever also has a button, with which Zanardi can shift down through the gears when braking into corners. While the No.24 M8 GTE had to overcome some early challenges, it was the #25 M8 GTE to come at the top of its class. The No. 25 BMW M8 GTE was driven by the team of Connor de Phillippi (USA), Augusto Farfus (BRA), Philipp Eng (AUT) and Colton Herta (USA) and they all had some impressive driving on display. Although, it’s been said that the M8 GTE didn’t seem as if it was as fast as some of the other cars in the race. Mainly, it took the GTLM class due to driver heroics, as all of its drivers kept it away from trouble and stayed in the race. When the opportunity struck to take the lead, Farfus took it at the right time. At 280km/h with almost no visibility, zero grip…. I committed….. I went for the move and we won the race. We won the 24hrs of Daytona!!! Quando a 280km/h sem visibilidade, sem aderência nenhuma….Eu fiz a manobra que nos deu a vitória nas 24hrs de Daytona! Farfus got ahead of James Calado in the No. 62 Ferrari and was still in the lead for the GTLM class when the race was called and ended. Zanardi did three driving stints total for six hours and 17 minutes, even as the team dealt with some mechanical problems in the car. Ultimately, Zanardi’s team finished ninth in class. The win was important for BMW as the longtime race executive Charly Lamm passed away the day before the race and the entire BMW Motorsport team dedicated the win to him.